Animation films are produced around the world and attract sizeable audiences and much critical acclaim. No longer marginalized in genres such as children’s or propaganda films, they are increasingly the subject of academic study. At the same time, attention has turned to the music and sound, which contribute to both the emotional impact and the narrative drive, as well as the marketing appeal, of such films. 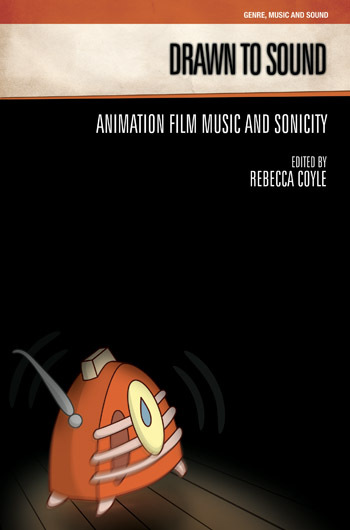 This ground-breaking volume bridges these two fields and also positions animation-film sound and music in the context of the screen and music industries. Animation experts like Paul Wells and Daniel Goldmark and film-music authorities including Philip Hayward, Ian Inglis and Janet Halfyard provide international perspectives on the history and aesthetics of music and sound in animation film. Drawn to Sound focuses on feature-length, widely distributed films released in the period since World War II, from producers in the USA, UK, Japan and France – from Animal Farm (1954) to Happy Feet (2006), Yellow Submarine (1968) to Curse of the Were-Rabbit (2005), Spirited Away (2001) and Les Triplettes de Belleville (2003). It spotlights important studios, including Disney, DreamWorks, Aardman Animation and Studio Ghibli, and composers, both those who collaborate personally with director and those whose music is used to provide period or mood atmospheres.